Is dressing up and collecting candy is a little too tame for you? Scare yourself silly with some of these seriously spooky destinations that are perfect for Halloween! What better way to spend the scariest night of the year than by following in Jack the Ripper's bloodstained footsteps through the backstreets of the East End. The London Dungeon is a popular attraction that gets even more terrifying for Halloween with a cast of characters, including Sweeney Todd, waiting to complete your Halloween experience. What could be scary about beautiful Paris? 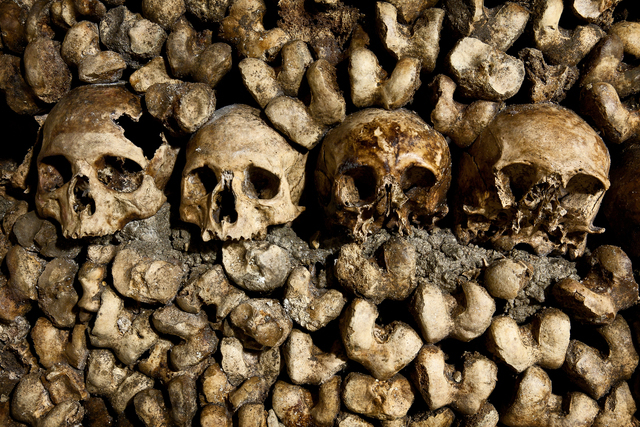 How about celebrating Halloween with a trip to the Paris Catacombs to spend some time in a massive disused quarry that, since the 18th century, has been home to the remains of around six million people in what is referred to as 'the world's largest grave'. Nice. The iconic Day of the Dead celebrations brings a more lighthearted take on Halloween, with colourful sugar skulls and focus on positive remembrance of ancestors. If you're looking for something more sinister, why not head to the Island of the Dolls in Xochimilco. Legend has it that a local farmer who inhabited the island witnessed a small girl drown. Her ghost haunted him, asking him every day to bring her a doll. The farmer spent 50 years stringing up hundreds of dolls in trees and bushes all around the island as gifts for her. Freaky stuff. Rajastan is home to the most haunted place in India, Bhangarh Fort. There are many stories surrounding this ancient site and an official notice above the entrance to the Fort states that nobody is allowed to remain onsite after sunset and before sunrise. Locals say that anyone who has stayed after dark has never been found. Gulp. Is there a more fitting place to be on Halloween when the clock strikes twelve? Experience the Gothic charm of Romania and learn all about Vlad the Impaler. Just be sure to pack your garlic and silver bullets. 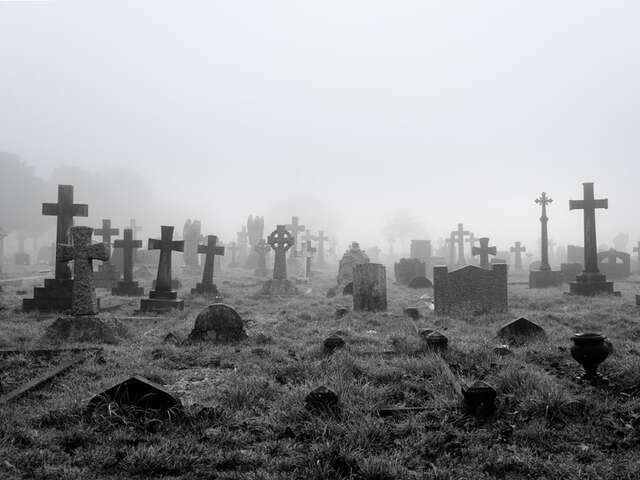 Salem, Massachusetts, has a month-long events calendar to celebrate Halloween and to acknowledge its tragic history. 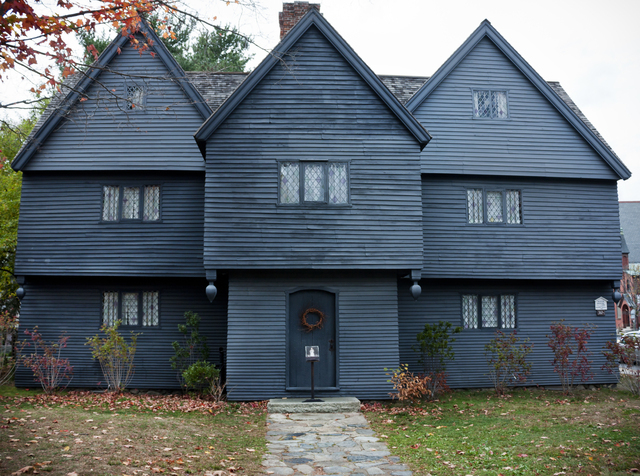 From reenactments of the infamous Salem Witch Trials, to Haunted Houses, Carnivals and more - Salem is chock full of tourists on Halloween, so you're bound to find someone to hold your hand if you get too scared! Enjoy a drink in the ballroom of the Stanley Hotel, the same hotel that provided the inspiration for Stephen King's 'The Shining'. Nothing terrifying about that at all(!) 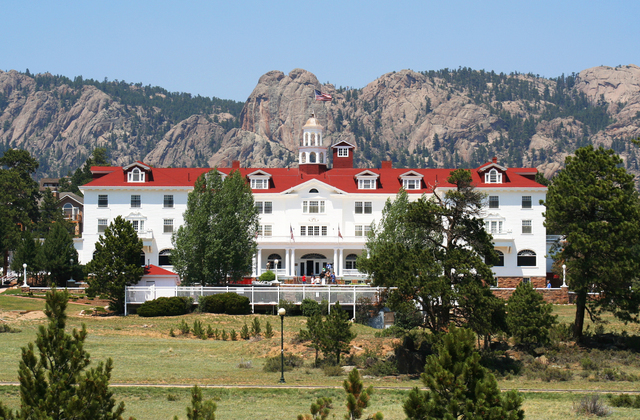 Fun fact: The Stanley Hotel shows the uncut version of the movie on loop on channel 42 in all guest rooms. The hotel hosts an annual Halloween party called 'The Shining Ball', which, unsurprisingly, sells out within days of being announced. And finally, the Museum of Death in California is a fittingly macabre way to spend your Halloween. Dedicated to the world of death, this museum houses the largest collection of serial killer artwork, original crime scene and morgue photos from grisly murders, a coffin and body bag collection, autopsy instruments and much more. Fun for all the family!